You’ve heard it time and time again: having a good skincare routine is the most important step towards retaining your youthful glow. 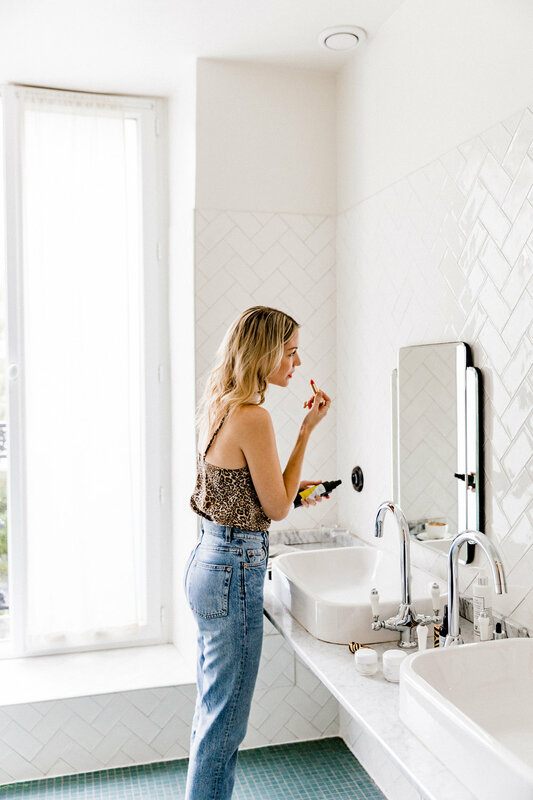 Beauty magazines, dermatologists and of course our mums have taught us about wearing sunscreen (every day, no exception), the importance of under eye cream, and even the benefits of using cold cream. Once we’ve mastered the art of these classic skincare products, it’s easy to start wondering what else is out there. Skincare is constantly evolving but the newest trend is actually a lot older than you might think. Face oil. Faces oils are everywhere right now, and there’s good reason for it. Women have been using face oil since the days of Cleopatra, the Romans and all throughout the Middle Ages. Unlike a normal moisturiser, face oil only truly penetrates the first several layers of skin. This will ensure an even makeup application and that your skin is smooth and soft to the touch. By using a face oil after you apply your daily moisturiser, the oil creates a barrier that locks in the hydration of your moisturiser, which means very good things for your skin. Our skin produces a certain amount of natural oil throughout our lives. As we get older, our skin starts to produce less oil, which in turn, makes our skin age more quickly. To combat this, you can simply add a face oil to your daily routine to mimic the oil your body has been producing naturally. 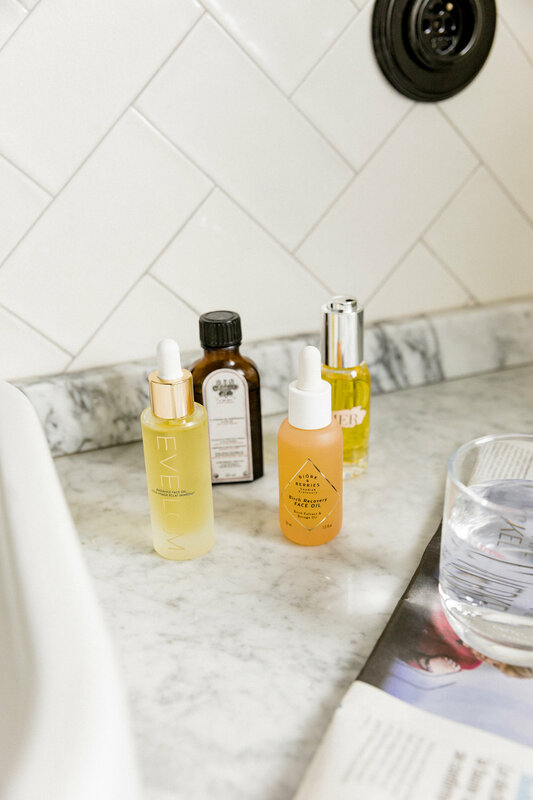 Face oils are full of nutrients and antioxidants which means they provide your skin with necessary vitamins and minerals that it desperately needs. There are many different varieties of face oil compositions, some contain Vitamin E, others have retinol - the possibilities are endless. As previously mentioned, face oils are full of benefits like nutrients and antioxidants. For dry skin, they seal in the hydration that comes from a daily moisturiser. For acne prone skin, there are some oils that contain antibacterial agents which help to clear up breakouts, like tea tree oil, and there are other oils that actually slow the natural oil production, like jojoba oil, meaning less greasy skin. For irritated or inflamed skin, argan and geranium oil can be used for their anti-inflammatory properties to calm down redness and sooth skin. Plus they are perfect for the cold winter months, when our skin needs to lock in even more moisture! Peach Oil by L’Officine Universelle Buly 1803, which is Rich in vitamins A, E, in polyunsaturated fatty acids and in antioxidant active ingredients. It helps illuminate dull skin and is great for combination skin. Radiance Face Oil by Eve Lom. I’ve been using Eve Lom since my mum introduced me to her iconic face cleanser when I was a teenager. The face oil contains Hemp Seed Oil, conditioning Abyssinian and Avocado Oil, and is enriched with anti-oxidents, including vitamin C. It’s proven to reduce fine lines and wrinkles. Birch Recovery Face Oil by Bjork & Berries. Bjork & Berries is a very affordable Swedish botanical skincare brand. Their face oil is a potent botanical oil-blend loaded with borage seed oil, birch leaf extract and organic jojoba seed oil to boost dried-out skin by hydrating, nourishing and helping restore overall skin firmness. Anti-Aging Face Oil by La Mer. It aids the skin’s natural collagen and overall firmness, helping soften the look of emerging lines and wrinkles. 100% Organic Cold-Pressed Moroccan Argan Oil by The Ordinary. The Ordinary has been making waves in the beauty industry due to its incredible quality at outrageously cheap price points! This particular oil is also multi-tasking and can also be applied to your hair. Win win. Words by Amanda VanOsdol. Photographed at Hotel Panache. As I write this, I’m sitting on the balcony of a beautiful white-washed villa in Ibiza overlooking an inviting turquoise blue pool, surrounded by white and fuchsia bougainvillea. I've just begun the second leg of my holidays and after publishing this article I will be stashing my laptop away, taking out a good book and whiling away hours relaxing on a beach. Bliss. But in thinking about les vacances, one thing that has been and is still at the top of my list is how I take care of my skin. It’s imperative to take care of our skin all year long, but even more so in summer, when the sun’s harsh rays are at their strongest. 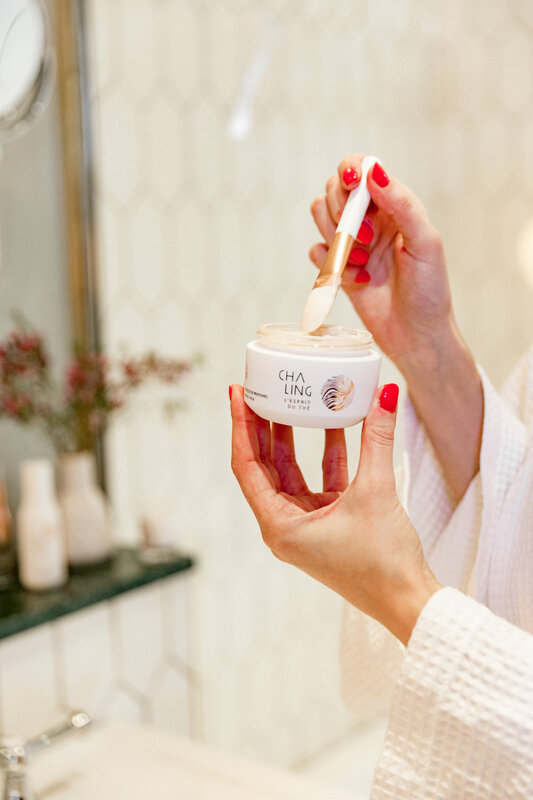 You might remember I’ve written about the Franco-Chinese skincare brand, Cha Ling in the past – here & here. 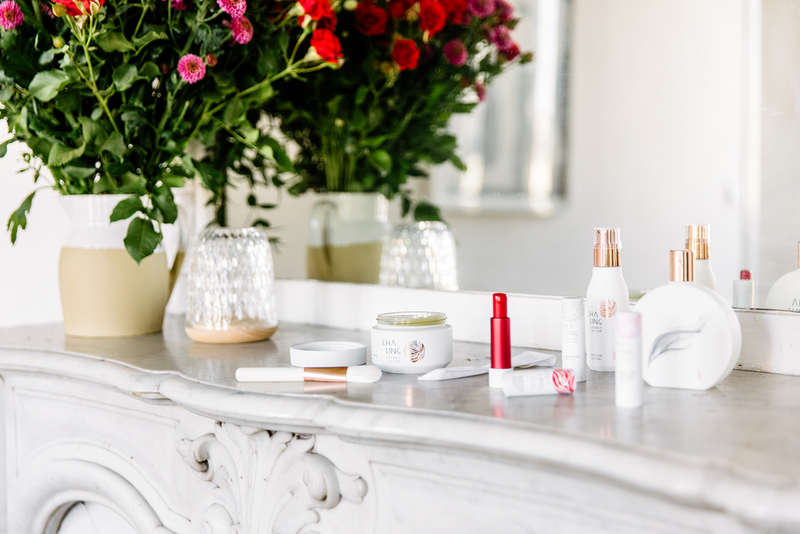 What I love most about this skincare brand is that they not only create timeless products for every day use and care, but they also release products for each new season. Our skin changes and adapts, just as nature does with each stage of the year, so it makes sense to tailor the products we use on it. Today I’m going to talk about their summer essentials; products that will not only keep your skin silky smooth and moisturised, but will also prep it for heightened sun exposure. In traditional Chinese medicine, summer is the season of maturity (think ripe fruit, flowers in full bloom and leaves at their greenest) and the height of vitality. This 5,000-year-old practise directs and inspires all of Cha Ling’s ethos and skincare development. All of the products in their summer range offer refreshing and moisturising properties to cool and calm summer’s heat. Having tried both the winter and spring mask, I can tell you that Cha Ling masks do the job. They give your skin a much-needed moisture boost – think a fruit smoothie for the skin. With a refreshing gel texture, the summer mask not only plumps the skin, but it also restores the skin’s hydrolipidic balance. The hydrolipidic film acts as your skin's bodyguard against the elements. It helps lock in moisture, so applying a mask that helps maintain and restore its properties is crucial for summer months. *Apply with a brush and leave for 10 minutes, then remove excess with a damp cotton pad. I love a good mist lotion – nothing feels better than spritzing a cooling lotion on your face in high temperatures. It’s great for beach days and will prep your skin for further skincare steps. And the fresh Pu’Er tea ingredient acts as an active protective shield against oxidative damages. 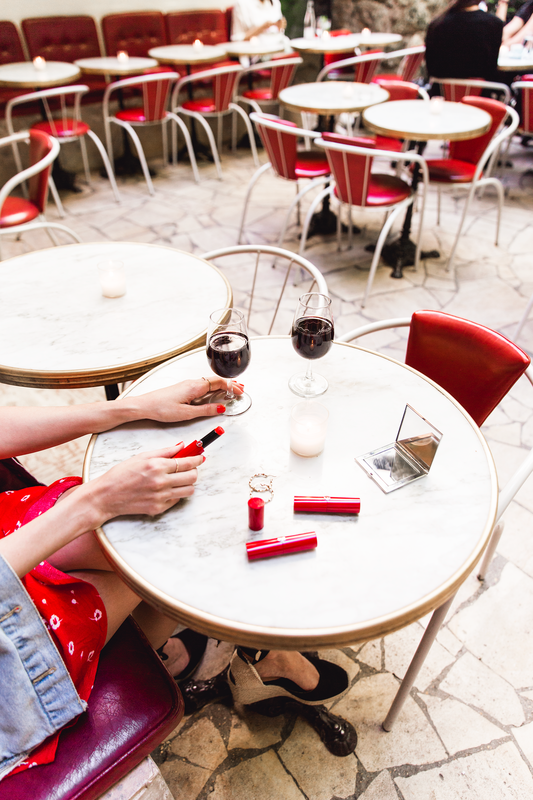 I don’t go anywhere without a lipbalm, or red lipstick in my handbag. So this red tinted lip balm couldn’t be better suited to my daily life. It’s essentially two in one – giving the same hydration as a lipbalm, but with added colour. Obviously lighter and less heavy than the matt lipstick I usually wear, it’s enriched with mango butter and camellia oil to provide long-lasted hydration, making it perfect for hot weather. I love to switch up my perfume in warmer months for a more refreshing scent. Although I’d happily wear this one all year round, it has a particularly fresh and airy scent, which blends the femininity of a tea flower and the woody intensity of Pu’Er tea cake to create a delicate balance that is perfect for balmy warm evenings spent dining next to a beach. There’s also a travel size available perfect for stashing in your handbag for a last minute spritz to freshen up before heading from the beach to the bar. The plumping essence is the ultimate remedy for quick skin hydration, when you don’t have time to do a mask. The active ingredient of red algae extract rapidly plumps and hydrates skin whilst forming a protective moisturising film on the skin, which gives almost the same moisturising levels as the summer mask. *Apply to cleansed skin in the morning and evening. Apply morning and night to keep skin moisturised when over-exposed to the sun. Its milky texture provides a cooling effect that will actively calm and replenish your skin’s natural moisture after a day spent in the sun. Cha Ling is available at le Bon Marché Rive Gauche or online here. Created in collaboration with Cha Ling. Photos by Rachelle Saevil, edited by me. I love living in a city, especially Paris. But like living in most built up, urban areas, it can wreak havoc on my skin. I also live on a very busy boulevard and often cycle, so I’m exposed to all kinds of pollution on a daily basis. Skincare is something I’ve always taken very seriously. Looking younger than my age is something I attribute not only to good genes, but also to how I’ve looked after my skin over the years - I’ve been lathering SPF cream on my face since a young age and don’t smoke. Over time, I’ve also become more conscious of the effect that pollution has on my skin and look for products that not only offer good protection against the sun, but also provide barriers against harsh conditions. So I’m always searching for new ways to care for, clean and detox my skin to make sure I rid it of any impurities that have built up during the day or while I sleep. 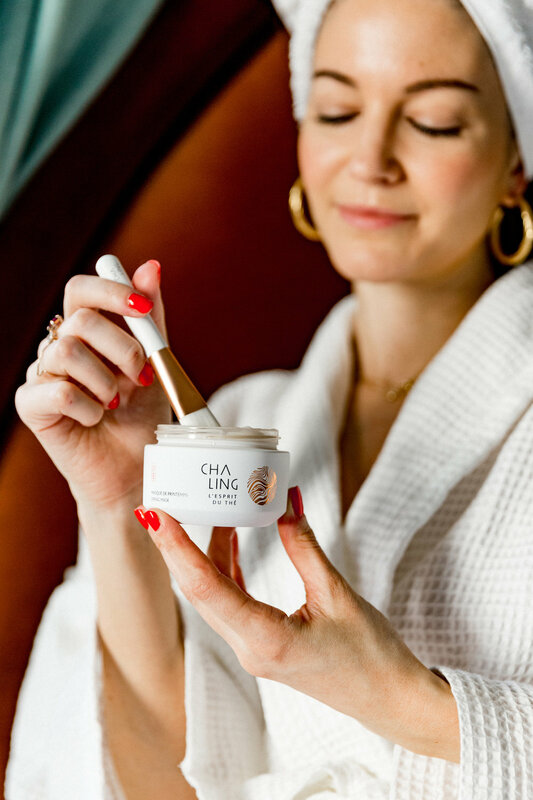 Franco-Chinese skin care line, CHA LING (‘cha’ meaning tea - I’ve spoken about the brand before here & here), blends the science of French beauty with traditional Chinese medicine, by harnessing natural antioxidant properties of Pu’Er Tea. The tea exists in two ages: the young tea (freshly harvested), and the fermented tea. It is the only tea which, like wine, improves with age thanks to traditional organic fermentation in a ‘cave’ or cellar. This process involves enzymatic reactions during which the molecules of the young tea are reassembled into new complex compounds and new cosmetic properties are born. (Fascinating right?! I love knowing how the science of skincare works, so you know exactly what you’re putting on your face!) With an understanding of this process, LVMH Research identified these two types and ‘ages’ of tea – young and mature Pu’Er tea. The teas are selected for their complementary properties, which make an enormous difference compared to the use, for example, of a green tea of a single age. Pu’Er tea has more polyphenols (abundant micronutrients that prevent degenerative diseases such as cancer and cardiovascular diseases!) than green tea and has 50% more anti-radical activity than green tea. To summerise: young Pu’Er tea preserves skin cells from oxidation by neutralizing free radicals and boosting natural antioxidant properties. It also reduces the deleterious effects of PM 2.5 pollution by protecting against induced inflammation. Fermented Pu’Er tea reduces the accumulation of toxins in the skin by eliminating certain toxic compounds, whilst at the same time improving the firmness and elasticity of the skin. To create the CHA LING products, LVMH Research has blended young Pu'Er tea with the fermented Pu'Er tea. They’ve coined the process: B-DT Complex™, which offers the skin all the complexity and molecular richness of these tea leaves while guaranteeing the highest purity through a process of 4 successive filtrations. 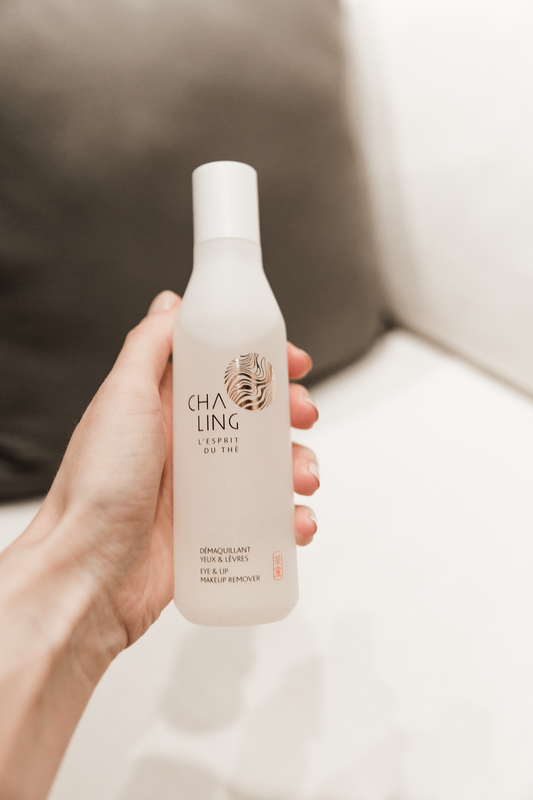 I’ve been using CHA LING products for a while now and can attest that they not only smell great and thoroughly cleanse and moisterise my skin, but also help protect it against the elements - UV rays, as well as pollution. With the seasons changing, and winter finally turning to spring (there are suddenly green leaves on the trees outside my window! ), it’s the perfect time to do a thorough detox of your skin, just as you might prepare your body for showing a little more skin as summer approaches with foods that help cleanse your digestive system. You might not know this, or have even considered it before, but our skin is our body’s largest organ. Therefore what you put on your skin has a huge impact on your overall health, which is why being sunburnt, for example, can make you sick. Putting your skin through a cleaning regime day and night is just as important as brushing your teeth. If you can take the time to properly cleanse, tone and moisterise morning and night, especially after a day of being outside and exposed to the elements, you will not only help protect it, but also aid its ability to fight aging. Benefits: Eliminates impurities and pollutants on the surface of the skin. How to use: mix 3 doses with water, morning and night, to create a rich mousse. You can also blend with the Cleansing Oil at weekends for a natural scrub that gently exfoliates and smoothes. Benefits: Deep-treats the skin by neutralizing accumulating toxins from pollution and natural aging. As well as firming and hydrating, it also renews elasticity and reduces fine lines and wrinkles. How to use: Apply morning and night before the Rich Cream. Benefits: Reinforces the skin’s barrier and protects the skin against pollution. The antioxidant and anti-aging capacity of millenary Pu‘Er tea in a rich and creamy texture that moisturizes, smoothes and firms the skin while nourishing. The discomfort and tightness feeling is relieved, whilst smoothing and firming the skin. How to use: Apply in the morning after using serum. Benefits: Removes winter grayness and expels the toxins and pollutants of the season. This mask is heavily-concentrated with B-DT Complex ™ to offer an anti-aging radiance boost with a frosted texture that’s cooling on application. How to use: soak the mask in bowl of cold water for 30 seconds. The cosmetic tea sachets will blow up a little as they soak up the water. Put the mask on your eyes by tying a knot behind your head and then leave on for 10min. For an intensive treatment anti-ageing & anti-fatigue, apply your seasonal mask before using the eye tea bag (spring, autumn, winter). CHA LING products are available to buy at Le Bon Marché in Paris and online here. Created in collaboration with CHA LING. With thanks to Grands Boulevards Hotel. Photos by Monika Varšavskaja, words & editing by Marissa Cox. I have always loved skincare products - creams, serums, masks - anything I can pamper my face with and help stop the ageing process. So much so that one of the main things I miss about the UK is Boots - yes the pharmacy. (Obviously after family and friends etc...). Boots was and still is one of the first places I visit on a trip back to the UK. 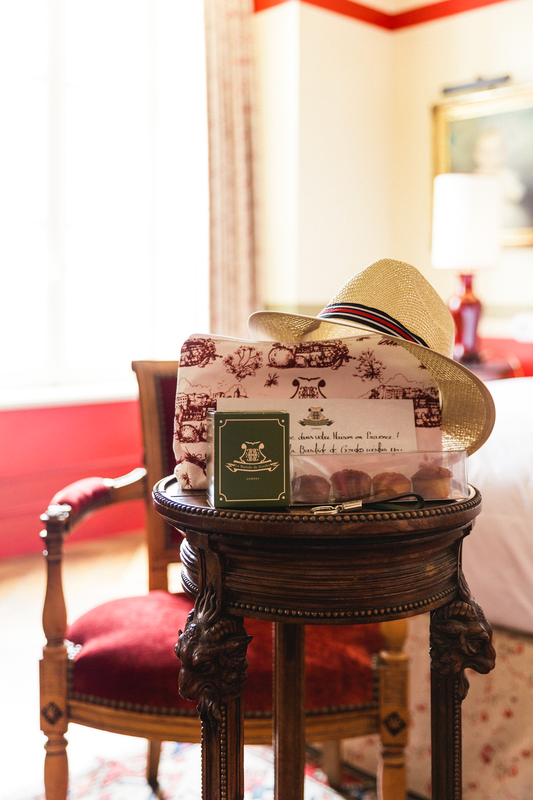 I always return to Paris laden with essential skincare products - I think I find them comforting - a little reminder of my former home. 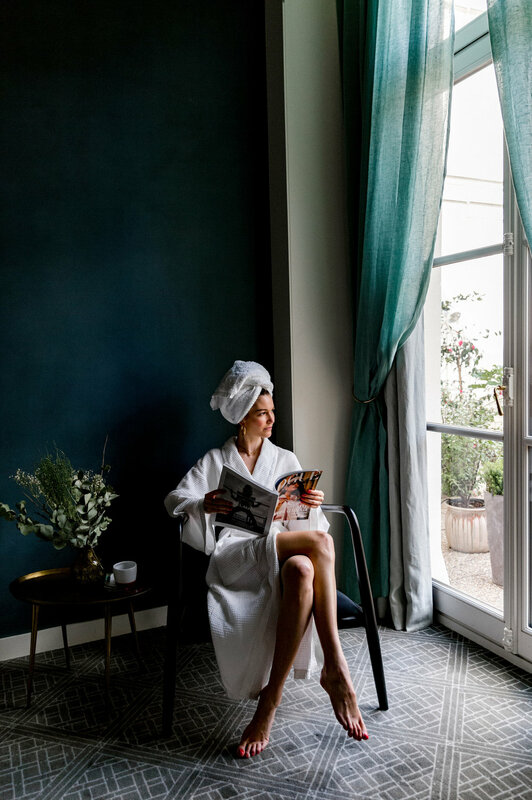 But after five years in Paris, it's time to branch out and as I also love trying new products, I took a recent trip to a pharmacy in the Marais and almost bought out the shop. Some products were on recommendation, others I've read about and others I bought because they looked, sounded and smelt good. So far, here are my top five. You can find all of them in French pharmacies and online. Shopable links below. 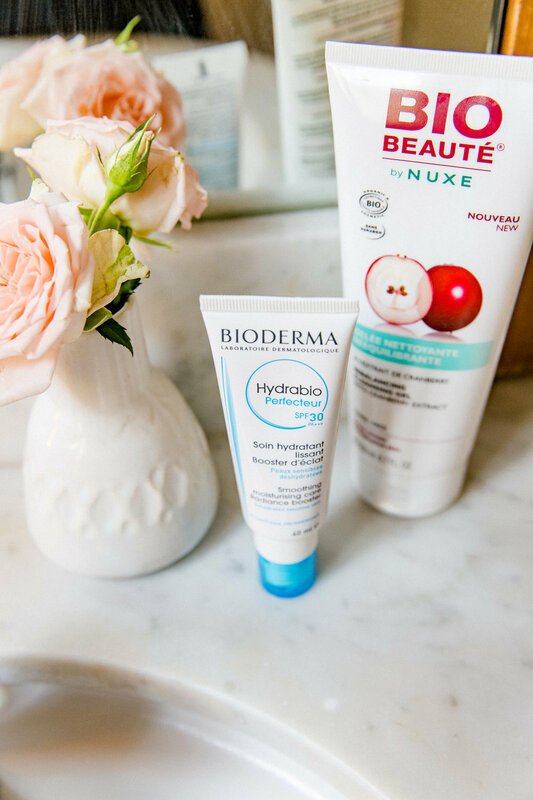 Bioderma is a French skincare brand whose primary aim is healthy skin. This means that they use a limited amount of ingredients in their products, only use those that are absolutely necessary, and work with ingredients that contain the same molecules as those already contained in your skin. They have a wide range of product lines specifically formulated for various types of skin: sensitive, dry sensitive, dry, oily, pediatric, damaged and more. Of the five, I would say this is my favourite. It also happens to be a staple in most Parisian bathrooms, and is a beauty bag essential for make-up artists, models and dermatologists. I’ve tried numerous make-up removers and find that they’re either too oily or a little abrasive and drying. This is the most natural feeling upon application and has very little scent. It feels like you're applying water to your skin (hence the title), but it removes stubborn, even waterproof, mascara, is gentle on the skin, doesn’t need to be rinsed off, doesn't block pores and is optometrist approved. Put simply, it's a must-have - buy it now. This smoothing moisturising care radiance booster contains the most important skin care product in the world - sunscreen! No matter what the weather, your beauty routine needs to include a UV blocking product (I wear factor 30 everyday, come rain or shine), as sun exposure is the number one cause of skin-aging. And that’s not all this wonder-product does, it also works to hydrate, protect, blur fine lines and wrinkles, and softens skin. Thank me later. Originating from a thermal spring discovered in the 14th century, La Roche Posay touts their success to Selenium-rich water. This antioxidant water is a main soothing ingredient in most of their products. In addition to skin calming products, they also promote sun protection and healthy skin. Their efficient products are beneficial for all skin types, while putting a large emphasis on creating a line of skincare that is safe enough to use on even the most sensitive of skin, such as babies, and even skin damaged by cancer treatment. The Effaclar line was released in 2011 and is a combination of their exclusive Lipo-Hydroxy Acid and Benzoyl Peroxide, and is designed to help acne-prone skin while remaining gentle. Use this sebum-controlling mask twice a week to reduce the amount of daily oil that is produced from your skin - keeping it looking matte and clear all day long. 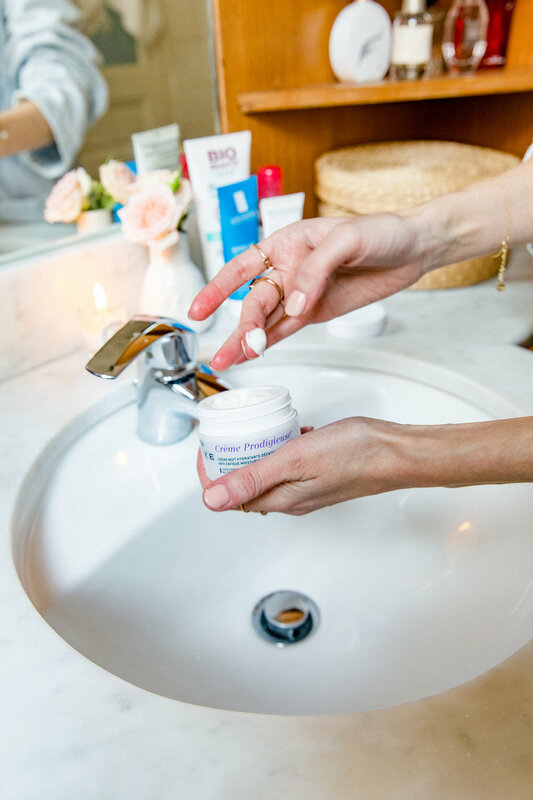 The Crème Prodigieuse Anti-Fatigue Night Cream, was recommended to me by two US friends, who have both been living in France for +7 years and use it religiously every night. To be used while you're sleeping, this cream should be applied to the face and décollage to renew cells, hydrate and reinvigorate the skin. You'll wake up fresh-faced and hydrated - it's thick creamy texture really feels like it's instantly adding lacking moisture to the skin on application. Containing the essences of flowers, cocoa, and botanical caffeine, paired with the quintessential scent of the classic dry oil, huile prodigieuse, this cream is perfect if you're looking for a thick, moisturising night-time cream. It is however a little too scented for my liking, but I have ridiculously sensitive smell. Any non-hounds will find it smells very pleasant. Bio Beauté is a line of beauty products created in 2008 by Nuxe. Founder Aliza Jabes, wanted to create a line of bio beauty products that would give women a natural way to keep their skin healthy and protected, despite the increasingly aggressive daily environment. 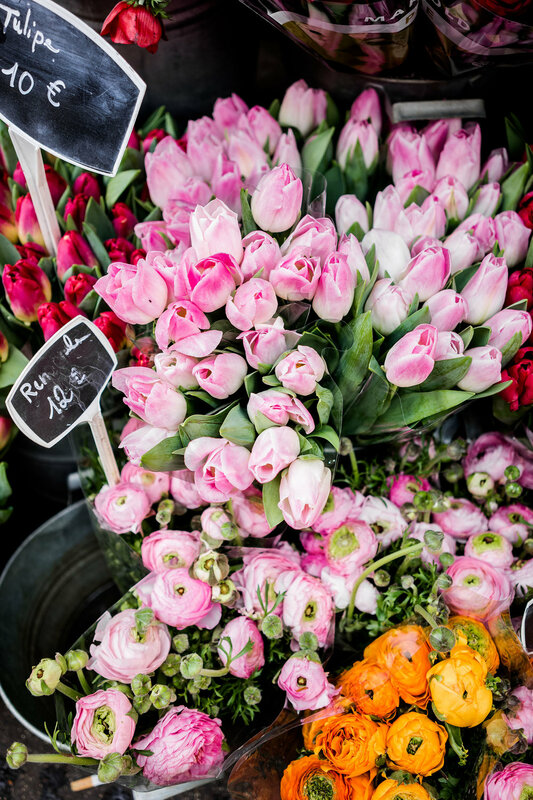 Bio Beauté products are all certified organic, as well as paraben and sulfate-free. The Rebalancing Cleansing Gel with Cranberry Extract boasts that a whopping 99.4% of its ingredients are of a natural origin and that 20.6% of its ingredients are from natural farming. Its clear gel is gentle enough for sensitive and very dry skin, while also reducing oil, hence the “rebalancing”. With a light fragrance and a low price tag, this is a great staple to have in your beauty arsenal. I’ve been using this morning and evening to wash my face after removing make-up and to cleanse my skin of any excess oil after sleeping. It smells great too. Words by Amanda VanOsdol & Marissa Cox. Photos by Monika Varšavskaja. With the summer holidays behind me, plus a trip to the Maldives under my belt, I am firmly in camp rentrée - France's phrase for 'Back to Work'. So as I get my September schedule in check and prepare for further travelling, there's no better time to reveal a video that I made along with My Blend earlier this year. As the name suggests, My Blend is a concept created by Dr Olivier Courtin that enables the user to concoct their very own blend of creams dependent on their skin type and lifestyle. Using one cream as a base, you add boosters (serums) that are recommended to you after a consultation. It's very clever stuff and I'm surprised no one has come up with the idea before! We are all unique and so is our skin and its needs. In the video I was paired with French blogger Aude Sakamari from My Name is Odd, to highlight how very different skin can be, even if we might lead a similar lifestyle. I was recommended the Antioxidant+ booster, to aid my skin when it's been subjected to too much pollution and the Speedy Recovery booster that is perfect for someone who travels extensively. Skincare is something that has been important to me from a young age, instilled in me by my mum who insisted I start wearing moisteriser to protect my face in my early teens. Thanks to a combination of good genes and a long-engrained morning and night cream routine, I look younger than you may think I am, and now with a little help from My Blend I hope to stay that way! Anyway I'll leave you to watch the video below to see how it works. Created in collaboration with My Blend. Created in collaboration with La Prairie. All views my own. Photos of me by Haleigh Walsworth.